The Digifort Standard version software provides the ideal resource for local and remote monitoring of up to 32 cameras per server. This intermediate version of the Digifort System is ideal for small and medium-sized facilities, bringing together a solution for high reliability and excellent performance at a low cost. The Standard version for up to 32 cameras provides a wide variety of tools for monitoring, playback, search and video recording, providing for better management of your hardware resources, security, administrative, and operational facilities. 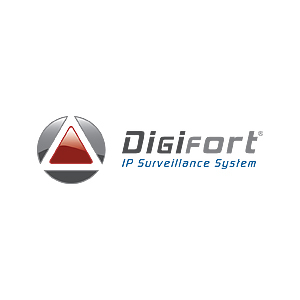 With Digifort Standard you have a robust monitoring solution of digital (IP) cameras with a wide variety of tools and operations. Additionally, Digifort Standard allows the use of various models of IP cameras and video servers from different manufacturers, enabling the customer to choose the best hardware solution that meets their needs. We can also configure Digifort software for other quantities of camera systems. Call us to learn more.